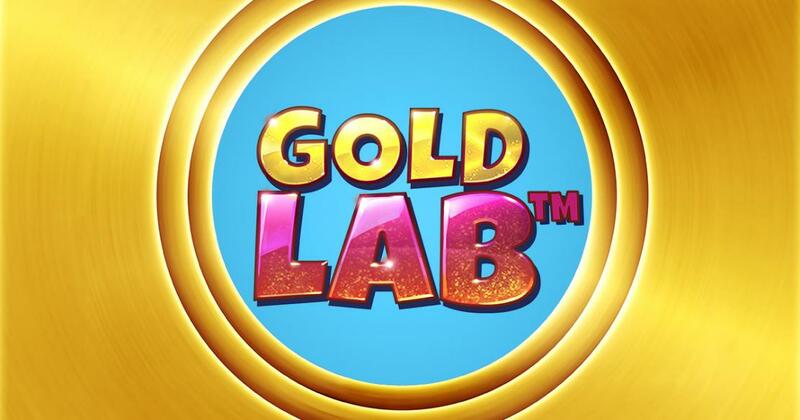 Gold Lab seems to be a game that has an alchemy theme to it, the art of turning ordinary objects into gold. Featuring a much more modern design than you would expect from an alchemy inspired theme, Gold Lab’s action takes place in modern times. Most of the symbols chosen for the reels are actually not that exciting, being gemstones and various potions that appear there. The features do have all sorts of goodies for you, including the scatters, the respins and wilds. This game, with its 25 bet lines, seems to have a maximum jackpot of only $800. As for the creator of this modern game, it’s Quickspin. The best part of the design seems to be the surrounding graphics actually, where you see the lab of a geeky character, along with various cogs and recipients. On the reels, you will get various potion bottles and beakers, along with gemstones that come in various colors and shapes. Gold Lab only asks of the player to pick a total bet value, so it doesn’t allow you to change the number of lines (fixed at 25), or the coins. You just click on that Bet section, which will open up a menu with values going from $0.10 to $100. Paytable values are modified automatically after that, based on the wager that is selected. The way it is often the case in modern slots, there will be a wild present, and it is represented by a logo that has a gold background. Should 3 to 5 wilds form up on a payline, a reward will be offered of up to $800. Wilds are also useful when they substitute for other symbols, just like they do in every other slot. Golden Bonus Scatters are the other side of the feature list. They trigger 4 respins if there are three of them present, while with one or two they just count as the corresponding Beaker. These symbols are going to appear on reels 1, 3 and 5. If the respins do trigger, the Beaker icons which correspond to those bonus scatters will be turned into wilds until the feature is over. I’ve enjoyed the graphics in this case, as I often do when I play slots from Quickspin. The features are unusual to say the least, but they do provide a bit of excitement in the case of that Golden Bonus.